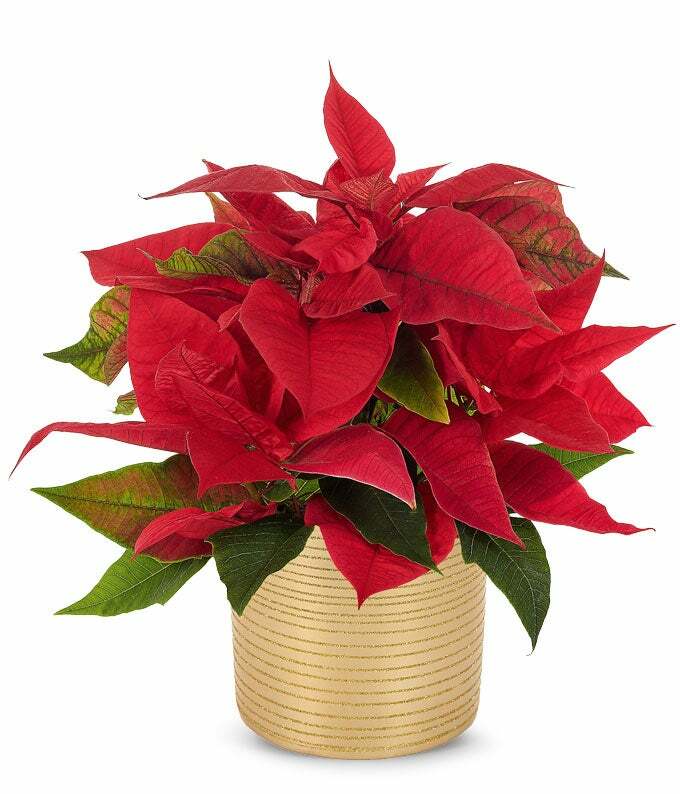 No holiday season seems complete without the joyful celebration created by poinsettia plants. And this shimmering poinsettia takes that celebration to a whole new level, complemented perfectly by a gold glitter cache container. Measures 11"H X 9"L.